hot-dip galvanizing, is a method to obtain the metal clad steel member is immersed in liquid zinc melt in. High temperature (440 DEG C) under the zinc melting liquid and adding some auxiliary materials, then the pretreatment (degreasing, pickling, plating etc.) of the metal structure workpiece dip galvanized trough, through physical and chemical interaction in the iron and steel complex not only plated on the thick layer of pure Zn, but also generate a Zn-Fe alloy layer. 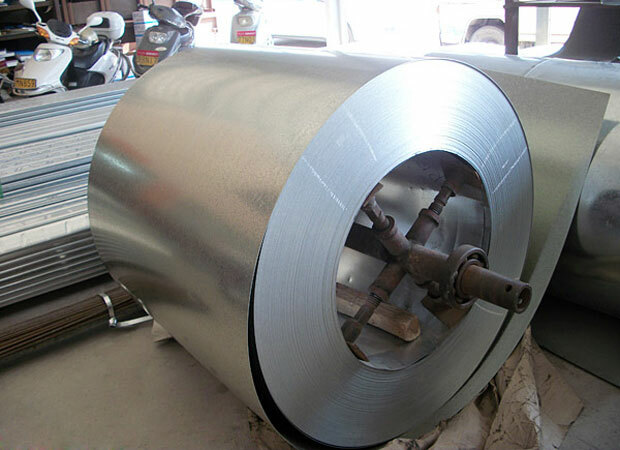 Usually the process of galvanized layer formation are as follows: (galvanized Zn melt temperature 430 to 470 DEG C) after surface treatment of steel workpiece into Zn melt (high temperature 440 DEG C melting zinc), iron matrix and molten zinc reaction: iron is dissolved Zn solid solution in the form of alpha -Fe; mutual diffusion, the production of Fe-Zn alloy compounds; zinc melt away from workpiece, out of pure molten Zn coverage on the alloy layer, the Zn layer is formed of pure. The hot dip galvanized steel microstructure near the steel substrate is 8 1 layer (alloy layer, dense Vivtorinox hardness 244), delta 1 layer is above the layer (zeta alloy layer, hardness 179, Vivtorinox) of the outer layer (ETA pure zinc layer, Vivtorinox Vivtorinox, hardness 70) hardness of 150 steel substrate. So Zn-Fe alloy layer is excellent in abrasion resistance and not easy to fall off. 1)The bonding strength between hot galvanizing layer and workpiece matrix is high. The hot dip galvanizing process, molten Zn can be fully immersed in well show that the surface of workpiece processing, Fe-Zn alloy layer is formed to cover the entire surface of the workpiece, the Fe-Zn alloy layer with good toughness, hardness, friction and impact resistance of large, high bonding strength with the matrix. The corrosion products of zinc layer is ZnO, Zn (OH) 2 and ZnCO3. This kind of corrosion products into ZnO3Zn (OH) (film thickness is about 0.01mm), compared with the zinc layer (passivation film of zinc) chemical stability, better corrosion resistance. The electrode potential is more negative than Zn electrode potential Fe, electrolyte condition, Fe matrix and Zn coating composition of primary batteries, Zn as anode and Fe as cathode, Zn coating has been oxidation corrosion, so as to protect the Fe matrix. 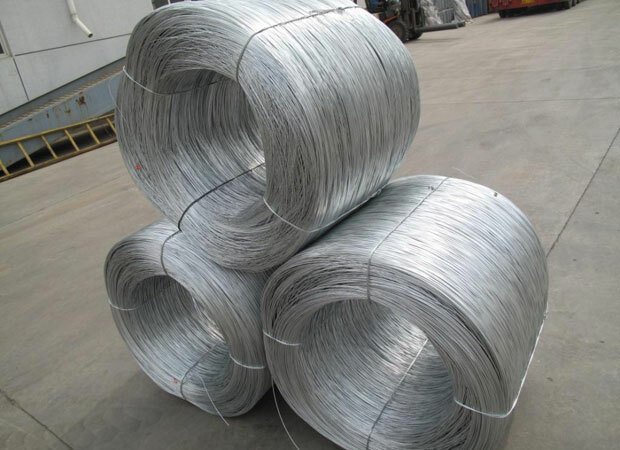 Widely used in galvanized steel sheet and strip, galvanized steel pipe, galvanized steel wire and galvanized steel components (hardware, telecommunications and lighthouse component). Posted in stainless steel by vee.